We all get an occasional problematic tefilin or mezuza with "SENTIMENTAL" value. I have heard in name of rav wosner that if we have tefilin from a very prominent sofer then even a bdieved is lechatchila-if I am correct he said it regarding shrt lameds in rav Nachman papirnes ksav from his older years. 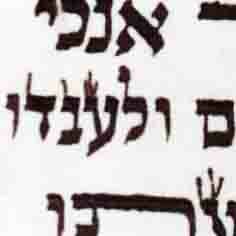 The Shaila is what is the Lomdis Is it that we may use a bdieved if the chashivas of the sofer is so great or that since a chushiver sofer wrote it we count it as lechatchila. is this a reason to allow a bdieved? maybe since it was written without tagim it should be kept in the china closet for sentimental value. I assume its like what the chafetz chayim (and others) famously said that it's better to buy a less lechatchila ktav from a Sofer who you know to be an ish emet yoreh shamayim, as oppose to a mehudar ktav from someone who may not be. But I don't think it means that it turns his ktav I to mehudar ktav. Or that it gives him a ptur to write how he wants. At the end of the day the ideal is a tzadik writing mehudar. But if you have to choose, the middos of the Sofer come before the quality of the ktav. 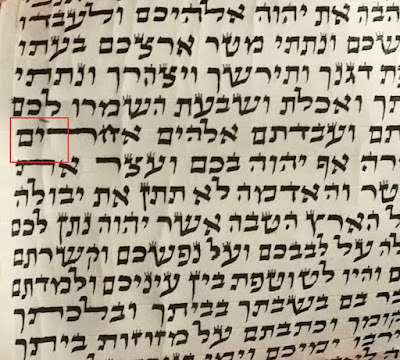 On the other hand if were talking about a famous Sofer who's a posek and also an ish emet (eg re the lameds etc) it's possible that he means in a case where we otherwise pasken lemaase a certain way, if this person has other svarot to write his way it's also lechatchila. There is a tshuvah about being meikel on sifrei torah and other stam from pre Holocaust days. I have to look it up. If someone has sentimental value I often try and salvage something from the object like the batim or retzuos or by ST the atzei chayims which can oft be restored very nicely. 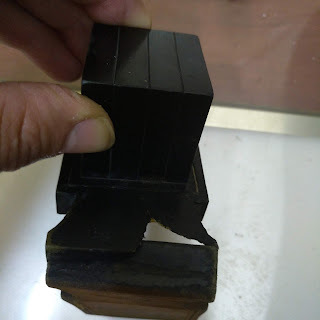 Onother thing people do with the zaidas old and possul tefillin is to frame the parshiyos but I don't know how kovodik that is. R. Eli - I would very much like to see this teshuvah on pre-Shoah Sifrey Torah. Todah. A Sofer told me the he asked R Moshe ztl about 2 Tefilin Parshioys; one written by a "Yarei Shamayim Mfursam", the other by a Yungerman. The Ksav of the second was much better and more beautiful. R' Moshe answered: When it comes to Yiras Shamayim, no one can know. Can we know if the "unknown" has enormous Nisyonos that he overcame, with no Pirsum...? However, the Ksav quality is a knowable factor. Eyn Safek Motzi Midei Vaday. Also, in R' Ahron Kotler's Teshuvos, he writes that the relative Tahara (or lack) of the Sofer when he writes, affects the Sofer, not the Ksav. (That doesn't negate the possibility that a Kadosh can detect this in the Ksav.) The person wearing it is affected only by the Halacha Kashrus and Hiddur of the Ksav. Interestingly the tzemach Tzedek was once asked regarding two mohelim, which one to use. One was younger with good hands and capable but not a "Yiras Shomayim mefursam" and the other was an older mohel with a big reputation as a heilige yid but not as competent in his work. The Tzemach Tzedek said to use the less "holy" mohel. I wonder if this would apply to Ksav and safrus? You can always buy new tefillin, but you cannot undo a mistake made by a "not as competent" mohel. Also, I believe that that opinion of R' Moshe z"l is found in the recently published "מסורת משה"